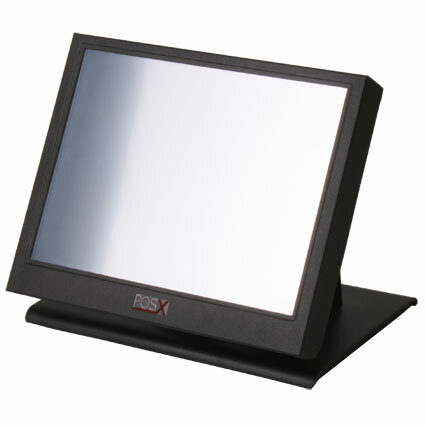 The POS-X XTS4100 touchscreen monitor provides a small and easy to install solution for businesses needing touchscreen computing in small areas. 10" in size, the XTS4100 is small and lightweight, fitting easily at any location. At 800x600, the XTS4100 displays most point of sale applications easily. The extra thick LCD glass, splash-resistant design, and bump-free tilting base ensure sturdy reliability for even rough retail environments. Dimensions (W x D x H): 9.84" x 7.28" x 9.44"